3 Fun Facts about the Panda | Welcome to The Pond! | Fun facts and awesome ideas for students! 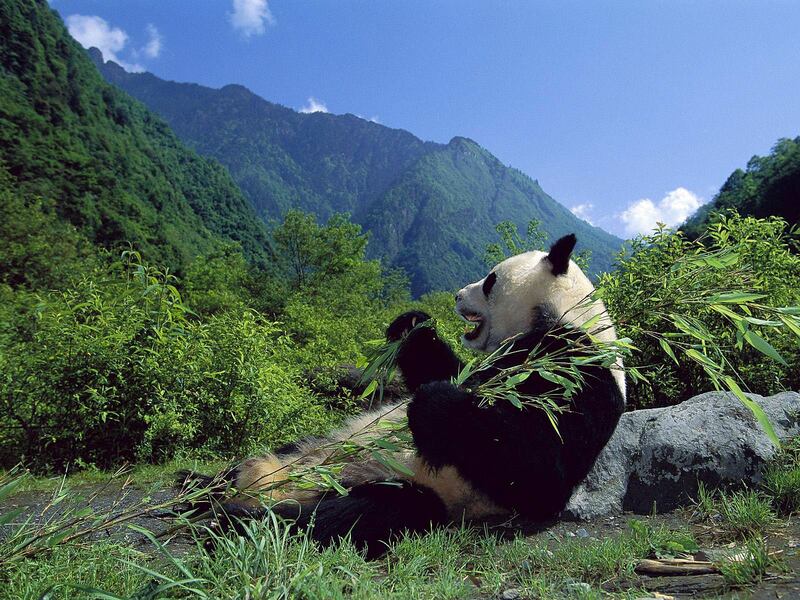 Giant pandas are very rare animals found mainly in the Western Szechwan province of southwest China. They are bears with has black fur on the ears, eye patches, nose, legs and shoulders. The rest of the animal’s coat is white. Many find this chunky animal to be cute. However, giant pandas can be dangerous as any other bears. Giant pandas are very carefree and love to spend most of their time alone climbing bamboo trees. They are skillful climbers and they are also good at climbing to avoid predators. They eat mostly bamboo leaves and shoots, but they can also eat fruit, grass, birds, and fish. Here are 3 Fun Facts about Pandas! 1. The giant panda has been on the endangered species list since 1990. The most serious threats to pandas are habitat loss and poaching. 2. Pandas have been a symbol of peace in China. For example, hundreds of years ago, warring tribes in China would raise a flag with a picture of a panda on it to stop a battle or a call of agreement. 3. The eyespots of a giant panda cub are originally in the shape of a circle. As the cub grows, the circles become shaped like a teardrop.